Over the past 19 years, Harcourts Gore office, as part of New Zealand’s biggest real estate company have won numerous National awards. Individuals have featured consistently in the top 20 salespeople nationally. This in itself is testimony to the training, technology and focus of the Harcourts Gore team and management. Harcourts Gore employs more than 10 people and is Southland’s biggest real estate agency, handling residential, lifestyle, rural and commercial properties in addition to a large property management team. Our systems, technology, training and support are the best in the business. Our prominent office has a purpose-built auction room where hundreds of properties have been sold under the hammer. Harcourts Holmwood Real Estate Ltd are very proud of the achievements of individuals and the office which has been recognised consistently nationwide among the Auckland, Wellington and Christchurch offices throughout various markets. From a background of the Hospitality Industry, Kylie thoroughly enjoys working with people and having the one on one contact with new and past clients. She is very motivated, honest and always strives to go the extra mile. Her door is always open to new and past clients. 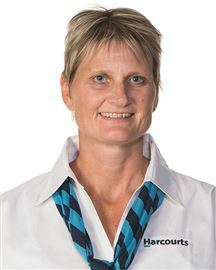 Kylie joined the Harcourts Team in 2000 as the Rural Managers Personal Assistant, which gave her experience before heading into the field in 2005, where she began selling property in Te Anau. In January 2006 Kylie also began selling property in the Gore and Surrounding areas, and received a recognition, of her sales effort as NO 1 Residential Sales Agent for the Gore Office 2005 – 2006, 2006 - 2007, 2007 - 2008, 2008 - 2009, 2009 - 2010, 2010 - 2011. Top Auction lister/Tender South Island. The Harcourts systems are to your advantage and with Kylie's expertise she can help achieve your goals. 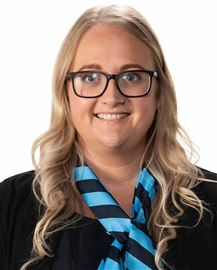 If you need some help or have a few queries about buying or selling property , feel free to give Kylie a call, she would be more than happy to help. With a strong background in Rural Sales, combined with his experience as a Stock Agent in the Stock & Station Industry, Lloyd has built up a successful reputation and large client contact base throughout a wide range of professions. With over 30 years experience and knowledge working in Southland, Otago and Hawkes Bay, he has shown he can achieve results. Lloyd has been a consistent contender in the Top 100 Agents within the Harcourts Group and succeeded in achieving the Number 1 and Number 3 in the Rural division of Harcourts in 2001 & 2008 out of 160 Rural Agents. Lloyd is a current Business owner/Manager & Director for the Harcourts Gore office. 2015 Kylie (daughter) was appointed office manager for the Gore office For a professional, honest and proven track record in either selling or buying property, contact Lloyd, you won’t regret it! Born In Waiouru and raised In Dunedin, I have been working in retail literally since the day I turned 18. I have worked in stores in New Zealand, Britain, and back again! In Scotland I met Shona, who is now my wife, and we settled in Gore in 2012. I have always loved the face-to-face interaction retail roles demand, and am looking forward to keeping it up as I increase my profile in the Gore community. I have found over the years that the best customer service does not come from a particular skill, but rather just making sure that the customer gets exactly what they are expecting, and that is what I will strive to do. Since obtaining my real estate salesperson’s license I have learned that property transactions can be complicated, but they don’t need to be. Diligence, communication and a touch of humour go a long way towards a happy result for all parties, especially backed up with Harcourt’s advanced systems and NZ-wide expertise. Call me for your next property sale and you’ll see what I mean! Living and working in a small rural close knit community has its special demands. Running into clients, their families and their friends daily makes. Cora accountable to these people. With this knowledge, Cora has found that being totally honest in all aspects of the real estate business essential, you never know who may become your next in-law! Born in Whangarei, grew up on a dairy farm in the Waikato, moved to Southland in June of 1994. I have a background in farming along with over two years as a builder’s labourer and thirteen years spent working in the garage door industry serving throughout Southland and South Otago areas. I have been a volunteer in the Fire and Rescue for the past 20 plus years and am still a current member of the Gore Fire Brigade. I have gained many skills through all of these roles and understand that giving great service to my customers is paramount. Now that I am a Licensed Sales Consultant, I wish to continue servicing Southland and South Otago selling rural, lifestyle and residential properties. Since starting in August 2017 I have had the pleasure of selling vendors properties and meeting new prospective clients. My goal is to ensure that my clients obtain the best result possible by being diligent, honest and maintaining good communication right throughout the process. I am thrilled to have joined the successful team at Harcourts! I am lucky enough to have resided in Te Anau for nearly 7 years and am excited to see the growth that is taking place in this truly beautiful part of the world. If you are thinking of buying or selling your property, please feel free to contact me for a no obligation free appraisal. Selling our Town to our People. Having lived in Gore all my life I can offer a wealth of local knowledge and have a genuine interest in our community. I have 12 years real estate experience covering residential, farmlets, sections and commercial sales/leasing. I treat all of my clients with respect and honesty and endeavour to meet all their real estate requirements. My passion is to help first home buyers and young people achieve their first home. I have spent the last 30 years in Nelson and have moved permanently to Wyndham. I was brought up with a farming background. I started in the Real Estate industry in 2014 and am looking forward to the next phase of my journey in Wyndham, Edendale and Mataura. I am down to earth and to say I will go above and beyond the call of duty is an understatement, and I do so with a genuine good heart and interest to hep my clients. Honesty and integrity are important to me and my clients quickly recognise this. I give 100% commitment to the task at hand and feel excited and encouraged to be welcomed into the team at Harcourts Gore. I am friendly, approachable and completely unpretentious, but at the same time have the life skills to adapt myself as circumstances dictates. Through my work I have met some lovely people and established treasured friendships, all of which are hugely important to me. 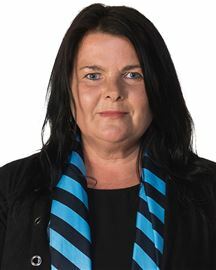 Anyone can sell your home, probably your most valuable asset - but if you would prefer to deal with a genuine professional who is easy to communicate with, will exceed your expectations and pull out all the stops to get the job done - then contact me Theresa Aldridge, Licensed Salesperson, Harcourts Gore. Trevor graduated with a Diploma in Valuation and Farm Managament (Dip VFM) in 1969 and spent over 20 years as a registered valuer, farm supervisor and manager with Lands & Survey and Landcorp in New Zealand before shifting in to the tourism industry and then real estate. He also worked for Foreign Affairs as an aid advisor in PNG for 3 years and did property consultancy work in Eastern Europe during the transition of ex-communist states to capitalism. Trevor and wife, Margaret, spent 2015 and 2016 in UAE assisting their daughter and son-in-law to set up the real estate brokerage of Harcourts Dubai. They returned to NZ in early 2017 and have settled in Te Anau where they have joined Harcourts Gore and will be selling property in Te Anau and the surrounding area. A valuer by qualification, and with a lifetime of experience in the property business, Trevor is knowledgable and experienced in all facets of real estate, property and project management in New Zealand. After twenty years working in office administration Kathy is enjoying her role as a Property Manager. Kathy has invaluable skills in communication, organisation and customer service which she loves utilising to provide great outcomes to both the tenants and landlords she works with. 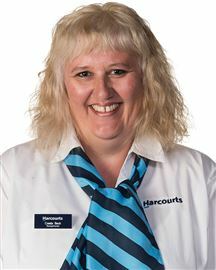 Sharon has been working in property management in Gore since 2007 building up her knowledge of the local market. She has excellent communication skills and always goes the extra mile to provide exceptional service to her owners and tenants. I have lived in Gore most of my life. My partner and I have 2 children. I have always worked in administration and pride myself on doing a great job. I am really enjoying the new challenges that come with working in real estate administration, there is a lot to learn. When I am not working I enjoy spending time with family and friends, playing sport and going on car runs in our classic car. Sales consultant in Te Anau. Business owner in Dubai UAE, having co-owned and managed Harcourts Wairoa NZ. With earlier careers in teaching and employment relations, she brings a wealth of experience to sales training and marketing. Make no Mistake - Call Now! You Must Have a Peek At This!! How Quaint Is This Wee Honey ? Storage , workshop or ???? Looking For Storage Space ! What Can You Do With This ?? Stamp Your Mark On This Today! Huge Potential Must Be Sold! Realistic Owner Will sell !! "Vendor Moving Over The Ditch"